Ghee is healthy to cook with – its smoke point is (250°C 482°F), so it will not break down into unhealthy free radicals like many other oils. It is also an excellent replacement for butter in most recipes. It’s good for your complexion as it purifies the skin and imparts a healthy glow to the skin. Premature wrinkles can be caused by a Vata and Pitta imbalance, ghee helps to balance both Vata and Pitta Dosha in the body. Fine for those who are lactose intolerant. Ghee is made from butter, but the milk solids and impurities have been removed. Nutritious! Ghee is rich in the oil soluble vitamins A and E as well as K2 and CLA (Conjugated Linoleic Acid) – an antioxidant with anti-viral properties, but only if the ghee comes from grass fed cows. Can help you lose weight - energy from the medium chain fatty acids can be used to burn other fats in the system and help with weight loss. It is anti-inflammatory and anti-cancer. Researchers are using oral butyrate supplements and butyrate enemas to treat inflammatory bowel diseases such as Crohn’s and ulcerative colitis, not surprisingly Ayurvedic physicians have been using ghee enemas for centuries to decrease inflammation in the colon. Ghee is beneficial for the eyes, many eye diseases stem from an excess of Pitta (heat) in the eyes, eating ghee daily helps to balance the Pitta Dosha keeping the eyes cooler and healthier. It also helps control eye pressure and is beneficial for glaucoma patients. 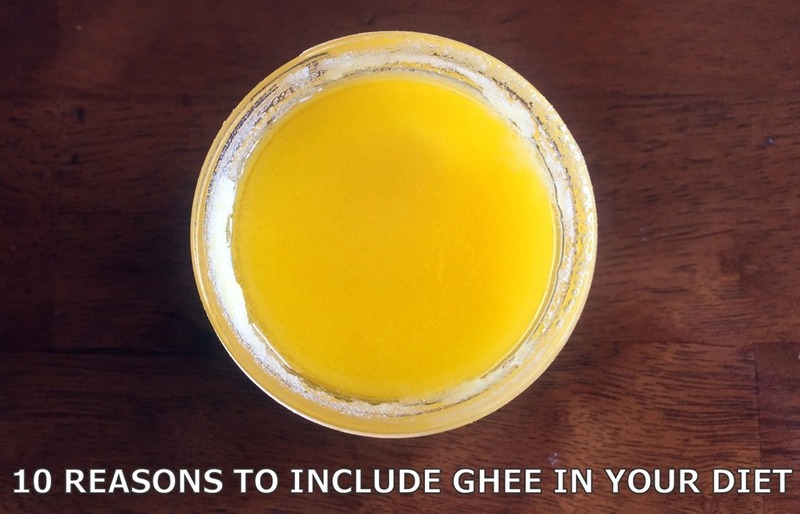 Ghee is rich in antioxidants and acts as an aid in the absorption of vitamins and minerals from other foods, serving to strengthen the immune system, so adding ghee to the food you eat will help you get more nutrients from your food! Which is the best Ghee to use? 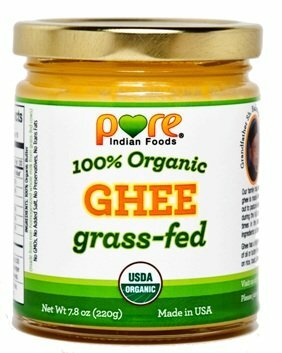 The best Ghee I have found is Pure Indian Foods – grass-fed Ghee available on Amazon or direct from the company. What makes this Ghee the best? Grassfed & USDA Certified 100% Organic - Made in USA. Made from non-homogenized cow's milk from springtime thru the fall. Handcrafted by The Agarwal Family that has been in the ghee business for 5-generations, since 1889. This Ghee is made in the traditional Ayurvedic way and I recommend it highly!